A historical town in Peru that you must not miss is Ollantaytambo, located in the heart of the Sacred Valley of the Incas. All tours to Machu Picchu will undoubtedly travel through this beautiful Incan town, but taking the time to truly explore its fascinating history, architecture and ruins will be well worth the trip! Cultural Immersion provides private tours to Ollantaytambo to deeply explore the culture, history and landscapes of this beautiful Incan town. Ollantaytambo is a unique town located in the Sacred Valley on the path to the mystical ruins of Machu Picchu. It’s such a picturesque and perfect place you’ll think it`s been pulled right out of a story book! The surrounding Andean mountains, Incan buildings and overlooking Incan ruins and agricultural terraces will make you feel like you have stepped back in time. It is the only existing town where you can see complete houses in their original architecture and design still standing from the Empire. This truly is the best place in the world to observe and learn about Incan architecture and construction. The town is divided into two parts, separated by the Patacancha River. The west side of the river holds the magnificent ruins and agricultural terraces that span to the top of the mountain. Crossing the river, you will come to the great Plaza, Mañay Raqay and the religious sector designed for ceremonies and rituals. Here, the lower terraces were used for agricultural purposes and to stop erosion to protect the sacred temples located further up the mountain. Heading up the stairs through the terraces, you will come to the ruins of the 10 Window Temple and then the most sacred Sun Temple at the top. The ruin of the Sun Temple consists of 6 large boulders, weighing up to 90 tons each, constructed in a unique Incan design inspired by the people of Lake Titicaca. On one of the boulders you will observe the carved symbols representing the three stages of the Andean World: the“Hanan Pacha” (heaven), the “Kay Pacha” (earth surface) and the “Ukhu Pacha” (underground). From the ruins you can see the abandoned quarry of Ollantaytambo where you can witness how the famous stones were cut and transported for construction. The people transported the large stones across the river by creating two parallel channels. They diverted the water into one channel, keeping the other dry to cross the stones through the first section. Then, they would open the first channel making the second one dry to complete the crossing. They moved the stones to the top of the ruins with the help of a well defined route, log rollers or rolling stones as wheels, South American cameloids’ leather ropes, levers, pulleys, and the power of thousands of men. Today, you can continue to see dozens of abandoned stones that never made it to their destination. On the east side of the river you can look along the banks towards the original houses of Incan royalty, which has remained standing for approximately 600 years and continues to be home to some local Andean families. You can also see the main plaza and the original design of the urban part of the town, which has remained relatively unchanged over time. Exploring the narrow stone streets and watching the unique Incan water systems, you will understand the thoughtful architecture, design and engineering skills of this civilization. This town is not only important for its architecture, but also for its interesting cultural and historical significance. 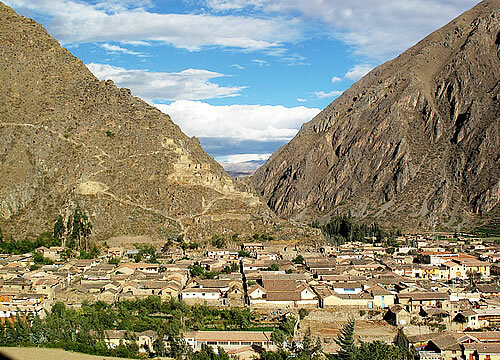 The town was named Ollantaytambo after an Incan Captain “Ollanta” and “Tambo” being a comfortable resting place for travelers. The Quechan legend tells the story of Captain Ollanta, who was devoid of nobility but highly respected for his bravery and skill in the service of Inca Pachacuteq`s army. His story was made famous in a play as he had a secret love affair with a monarch`s daughter named Kusi Qoyllur; however, his love became publicly known when he officially asked for her hand in marriage. His request was unfortunately denied as marriage between different social classes was forbidden at the time. Heart broken, he rallied the people of Ollantaytambo into rebelling against the imperial army of Inca Pachacuteq and initiating war that lasted a decade. He was eventually captured due to the betrayal of one of his Captains, Rumiñawi, who was previously recruited and given asylum after falsely claiming condemnation from Cusco. After gaining the trust of Captain Ollanta, he proceeded to allow the imperial army through the gates of Ollantaytambo at night. Captain Ollanta was captured and taken to Cusco; however, at the time Inca Pachacuteq was already dead and the Empire was controlled by his son. The new ruler only then learned the real truth about the tragic love story between Ollanta and Qoyllur. He sympathetically granted clemency for the couple who were allowed to marry and raise their child, Ima Sumaq, who was born from their old relationship. This story continues to be a popular legend that is still recited and performed in many Peruvian schools. 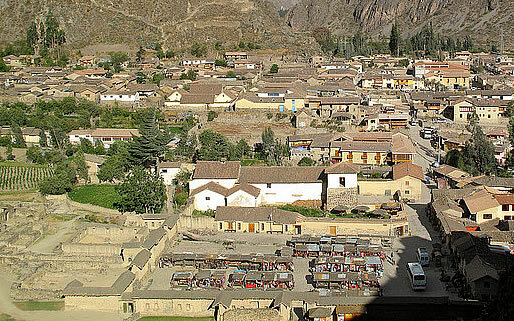 Over the history of Ollantaytambo, the town has seen a significant level of war and bloodshed. It was a formidable town due to being in a strategic geographical location, having a strong protective wall with few entrances, and having watchtowers on the surrounding mountains. 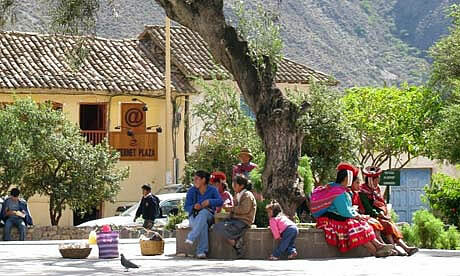 Originally, this town helped to protect Cusco against hostilities from tribes located within the jungle. Then, during colonization, this town was known as a fortress as it was where the famous battle of the last ruling Inca, Manco Inca, and his army of 30,000 men fought against the Spanish expedition led by Hernando Pizarro in 1537. Manco Inca was fleeing a losing battle with the Spaniards and found refuge in Ollantaytambo. When confronted again with war, he successfully managed to completely defeat the Spanish expedition consisting of 100 Spaniards and 30,000 Indian auxiliaries. He forced the Spanish expedition to retreat by flooding their position and hindering their cavalry from the high terraces above. Over time, Manco Incan`s position in Ollantaytambo became vulnerable due to the lack of food forcing him to flee to the Vilcabamba jungle where he was finally betrayed and killed in 1544. 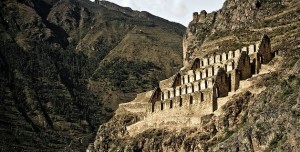 Archaeological site of OllantaytamboOne of the best ways to truly explore and learn the history of Ollantaytambo is on a private Cultural Immersion tour. A professional guide, fluent in English, will help you to navigate and wind through the narrow stone streets while providing interesting stories and facts about the most fascinating and historical parts of this remarkable town. You will be invited to enter into an original Incan house to observe the architecture and the way in which the Incan people used to live. You will also have the opportunity to discover the ruins and learn about this sacred site and how its own history has helped to shape this amazing place. 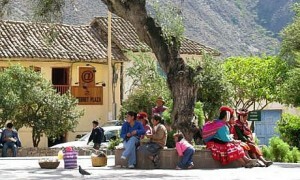 You can choose to stay in the night in Ollantaytambo before venturing further to Machu Picchu. With Cultural Immersion, you can choose from the best hotels in this beautiful town including, the 4 Star Casa Andina Private Collection, the 3 Star Pakaritampu Hotel, Albergue Hotel, and Ollantaytambo Lodge.